We have all the swimming pool supplies you might need for your Hickory, NC area swimming pool. 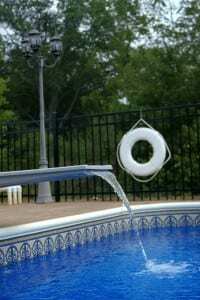 Swimming Pool Supplies in Hickory – Any swimming pool owner knows there is plenty of maintenance that needs to be done on pools. Hiring a pool maintenance company isn’t a bad idea if you want to ensure your pool is in pristine condition, but even then, there are still a few maintenance tasks you should be doing on your own to keep your pool sparkling clean and inviting to swimmers. At S&H Pools, we have all the swimming pool supplies you might need for your Hickory, NC area swimming pool. Skimming debris from the top of the pool and emptying filter baskets should be a daily chore. Especially if your pool is shaded by trees, the debris in the pool can add up quickly, clogging filters and drains. While you’re at it, check the water level of the pool and make sure it doesn’t fall below the level of the skimmer. If it does, that can damage the pump, leaving you with costly repairs. Vacuuming the pool and brushing down the sides should be done regularly. At S&H Pools, we have a wide variety of vacuums and brushes, so you can choose supplies that are a good fit for your pool and budget. Pool water needs to be checked regularly to make sure it is clean and healthy. You can do this with pool testing kids available at our store. These simple tests don’t take long to do and will help you know what sorts of chemicals you should be adding to your water to keep it sanitary. 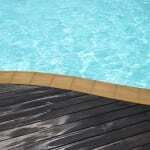 We carry all sorts of swimming pool supplies in addition to cleaning supplies and chemicals. We also offer any replacement parts you might need, such as lights and handrails, and we even have a good supply of fun pool toys. When you’re in need of any type of swimming pool supplies, be sure to come see us at S&H Pools, and we’ll get you taken care of.